A third of charity fraud cases in England and Wales are suspected to involve staff, trustees or volunteers, the charity watchdog has claimed. The Charity Commission report said organisations should stay alert to "insider fraud", and make sure that "mutual trust" is not abused. The commission said crimes committed could be opportunistic or due to a lack of charity oversight. The organisation also issued an appeal on insider fraud incidents. The statistics relate to instances of fraud between April 2015 and March 2016. Director of investigations Michelle Russell said charities were trusting as they were "committed to making a difference in society". But she added: "Unfortunately, for a range of reasons, that mutual trust can be abused. The reality is insider fraud does happen in charities. "Ultimately, whether it happens in a small charity with no employees or a multi-million pound household name, fraud diverts money away from those the charity is helping and who need it." The warning to charitable organisations comes as the boss of a defunct Welsh charity was jailed for five years for embezzling £1.3m to fund his lavish lifestyle. Robert Davies, 50, who worked for Swansea-based Cyrenians Cymru admitted fraud by abuse of position and was sentenced at Cardiff Crown Court in July. He spent £100,000 on boats, £26,000 on airfares and £80,000 staying at The Savoy Hotel in London. The charity, which tackled homelessness in Swansea, south west Wales, collapsed in 2015. Mr Davies's offences were committed between 2008 and 2014. 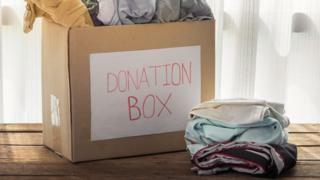 The Charity Commission has urged donors to be vigilant and watch out for sudden lifestyle changes in its volunteers and staff. It added that strange behaviour or unexplained cash withdrawals could be a sign of insider fraud. Ms Russell added: "Our aim is to help charities increase their own resilience to this kind of abuse and protect donors' valued funds as well as protect public trust and confidence in charities."